For many customers of banks and other financial institutions over the past few years, the first voice heard on the corporate telephone line is artificial, not a human. An ever-growing number of companies have proven two critical points: First, their customers are willing to talk to a “chatbot” or virtual assistant if it gets them faster and more effective service. Second, the conversational artificial intelligence technology can be very cost-effective. Beyond the phone line, there is even more potential. IBM’s “Watson” AI system defeated two human champions before a national television audience on Jeopardy! 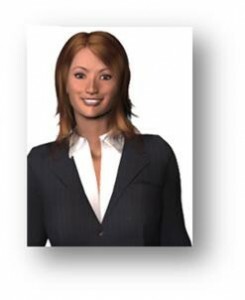 Here on The HotLine Magazine, the first research phase of The SaaS & Support Project in 2009 enjoyed a significantly higher level of initial participation when Sage, a digital character, did the introduction. Clearly, there is more than promise in the use of non-human automated assistance. Is there a chat-bot in your company’s future? Almost certainly. Identifying an appropriate vendor and product combination and effectively realizing the value from your investment, however, is a question that will take more to answer. Chat-bots, chatter-bots or chatbots. 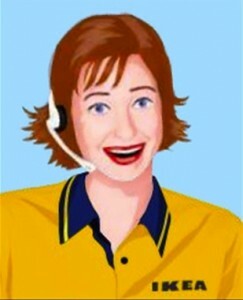 Virtual assistants. Digital characters. Conversational Artificial Intelligence, or just AI. Speech recognition/interaction technology. Virtual Reality. Avatars. Virtual CSR, or VCSR. Artificial Assistance or Assistant. Erwin Van Lun, a futurist writing on Chatbots.org, has identified over 127 synonyms for chatbots, and cautions that there is no agreement on definitions for any of them. Is it an actual voice that makes an artificial intelligence technology worthy of the name? Must there be a digital representation of a human to provide non-verbal emotional feedback in the product to qualify? In an era where texting or text-chatting is increasingly a common experience, even dominant in some sectors of the community, a company seeking to provide cost-effective support or service definitely ought to consider an automated natural language processor resource, regardless of what it’s called. A lot of people in the younger and middle sectors of the generational spread of today have grown up with or at least had some significant experience with video games. Interacting with digital characters is nothing new. Virtual reality products have been in use in education for many years. In the fall of 2006, I wrote an article — “Educational Gaming: All The Right MUVE’s” — about two examples of using such technology for teaching. Both River City and Whyville have proved to be very effective and very popular, clearly demonstrating that if properly designed and presented, virtual digital assistance technology can deliver excellent results. Acceptance by the customer base is only part of the evaluation process. Is there a large enough part of the company-customer conversation spectrum that could be handled by some sort of an automated assistant to justify the investment? A good starting point for that analysis can be found in the case management system of your company’s customer service & support contact center. It’s important to ask the right questions, though. What is possible may not always be cost effective, or may require careful customization to remain in accordance with the company’s overall strategy for managing conversations with the customer base. But in many cases, deployment of conversational artificial intelligence will make excellent sense, and free up human resources for more productive and profitable work. I have developed an initial request-for-proposal (RFP) template for use by technology companies investigating the various forms of assistive technologies, and have identified over a dozen potential vendors with solid track records. If you’re interested in a vendor-neutral discussion of what chatbots / avatars / virtual digital assistants / and/or artificial intelligence by whatever name might do to improve customer retention for your company, send me an email or call to arrange a complimentary Office Hours session.